Renée's mosaic and quilt creations and more. Just getting ready to pull another quilt off the frame. I will finish the hand binding this week in front of the TV. I just love quilted tablecloths and I think this will look nice with the green striped kitchen valances. I have company coming from Georgia in two weeks and trying to spruce up the place. We have VIP guests coming from Georgia and so I’m wanting to tidy up a bit. That’s really an understatement. Since my temporary sewing area is in the dining room adjacent to the family room it is currently a real eye sore. I should be embarrassed but I have been busy making multiple items to be sold at our big quilt show in August so messy but for a good cause. The heavy winds these last four days have kept me mostly indoors. The hay is going to seed in the fields around us and I know if I’m out too much it will play havoc with my sinuses. But soon I hope to get out in the garden. I just noticed I haven’t finished writing about my trip to Hawaii, I promise I’ll get to that later this week. Speaking of promises, after doing nothing but playing with my new sewing projects these last 10 days since I’ve been back, I think I used the word “promise” when I told FJ I would clean the house this weekend. Hmmmm. Well, yesterday our contractor came over mid-morning to show us the drawn plans for our new garage addition and so I lost my momentum to get started for the deep cleaning I had imagined doing. And today, oh well, it’s Valentines Day, and just doesn’t seem appropriate somehow. So instead I made chili cheese omelettes for breakfast (hubby now content 😀) and while still in pjs, have started quilting this cute flimsy made by my DIL. 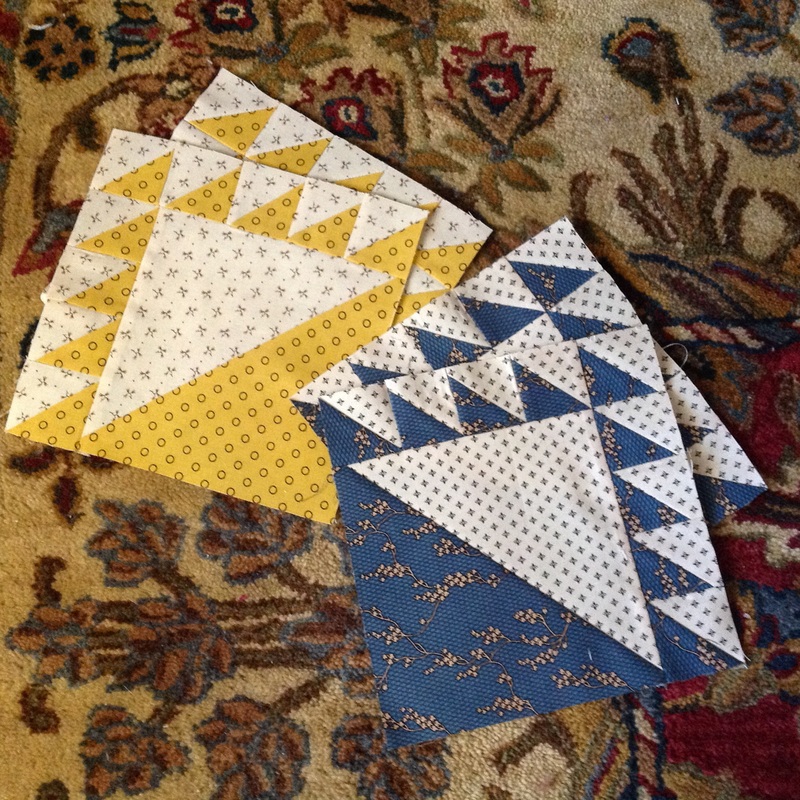 She has mailed me 3 tops to quilt for her. FJ is taking me to dinner tonight….secret destination. But he promises it’s not McDonalds so that’ll be worth getting dressed for. Maybe tomorrow I can get up in time to go to Yoga and then be all revved up to clean house after. My two wonderful daughters treated me to a 90 minute deep tissue massage during my stay in Hawaii. DD#2 got a massage too. It was so awesome I’ve made second appointment before I head back to snow country. Later played dueling pianos on iPads with granddaughter KaiKai then did some stitching. At least once during a Grammy visit, we do a backwards day and have ice cream BEFORE dinner. In just about six hours….. Watching my granddaughter at swim practice in Honolulu Hawaii. 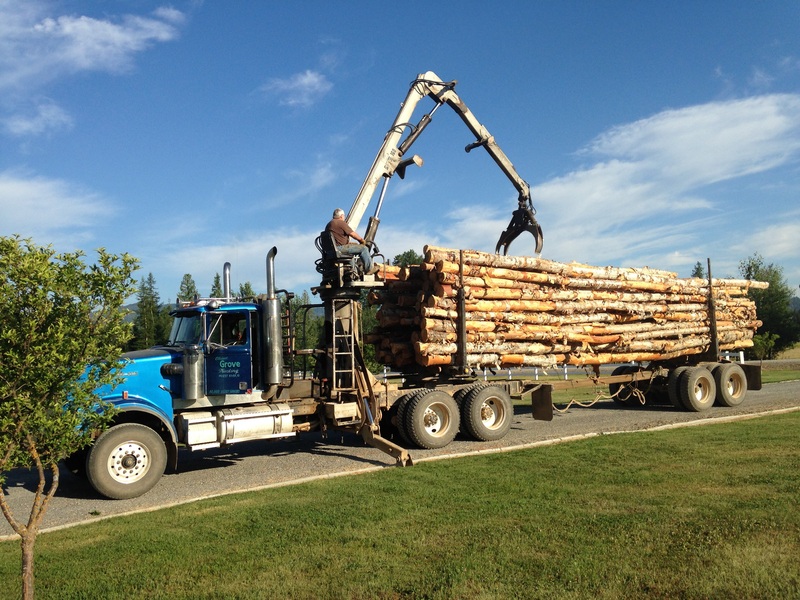 Although our wood shed is full with 2 cords of Red Pine and Cedar, FJ decided to take advantage of a good price for a truckload of fresh cut Birch. This should give us about 10 additional cords and will be dry enough to use this winter should it be a nasty one. FJ thought ( with just a little coaxing from JS) that a brand new chain saw (on sale) would be worthwhile too. Hopefully, a trip to ER won’t be factoring into our winter preparations, but I do see sore muscles on the horizon. My winter preparation will be to start a new quilt (of course). This will be a scrappy quilt with potentially over 100 different fabrics. I have chosen NOT to calculate how many 8 inch squares are needed for a king size bed, at least until I have many more blocks completed. Remember I didn’t say specifically WHICH winter. 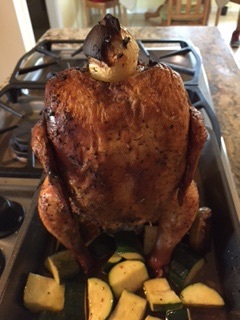 Dinner at the Sis’s tonight. 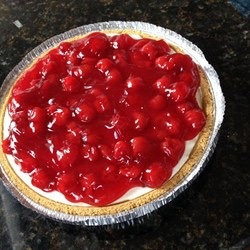 I’m bringing pie! 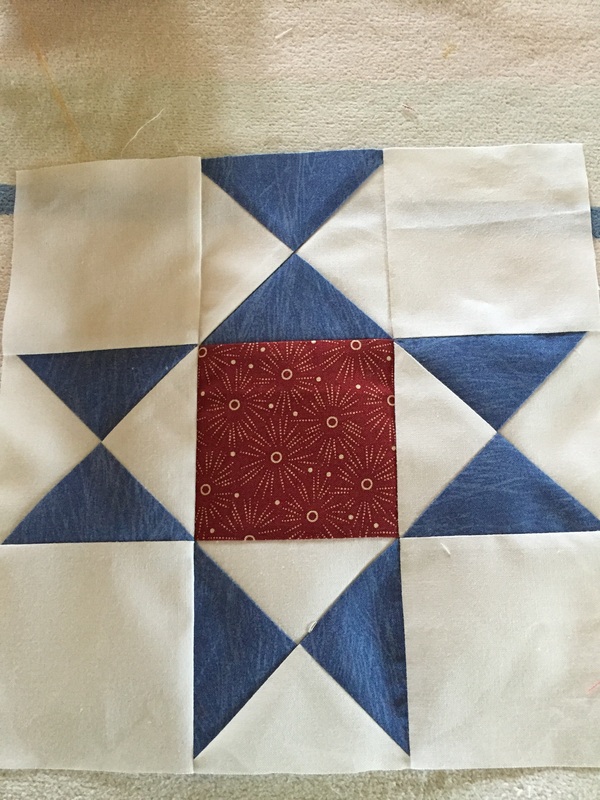 Can’t say I enjoyed making this quilt block named Ohio Star, but with practice I saw improvement. 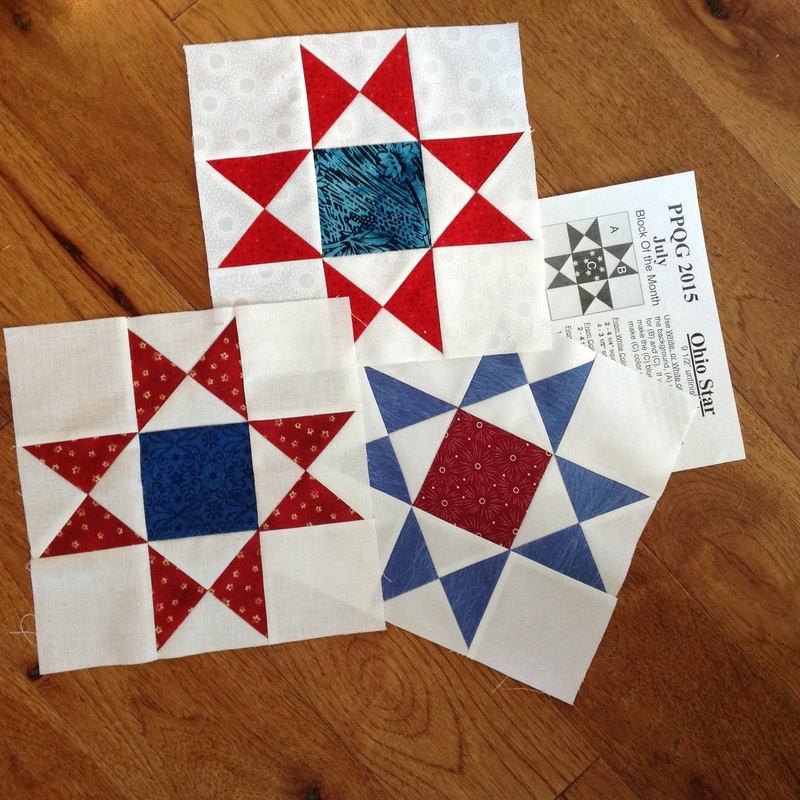 The first two attempts went into the scrap pile but these 3, although not perfect, will be submitted for July’s Block-of-the-Month drawing. I’ve been unable to find a weekly class to sharpen my skills but will keep searching. 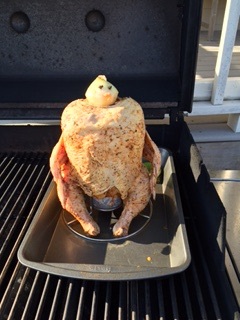 Grilled this fella on a beer can after marinating with a dry rub. 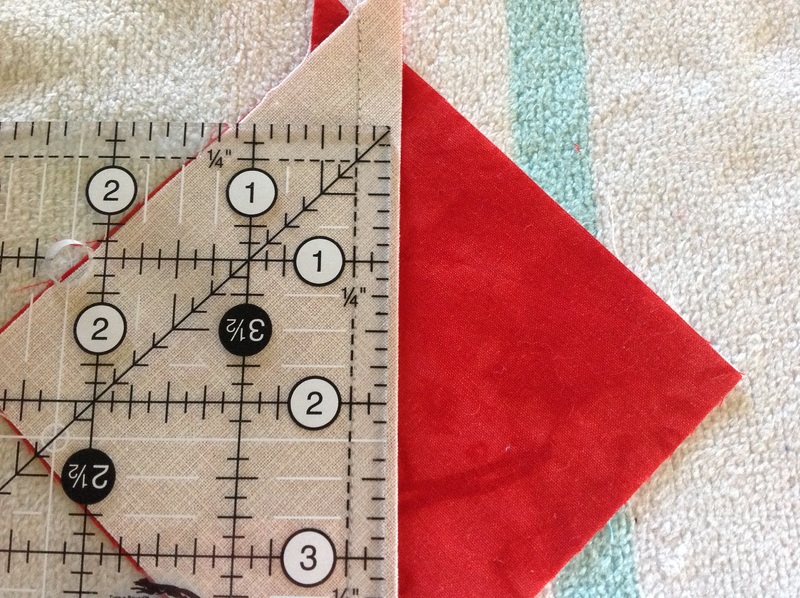 Tried to work on July’s BOM today but had crazy hard time doing the scant 1/4 inch seams as required making my quarter square triangles wonky. Feeling like a newbie. What the heck? Oh well, better luck tomorrow. We turned on the AC today for first time and it worked great. Tomorrow promises triple digits, breaking previous June records. If it weren’t for FJ my garden would be dried up. Generally if I plant it, he will water it; he’s much more dependable than I am. Lucky me.